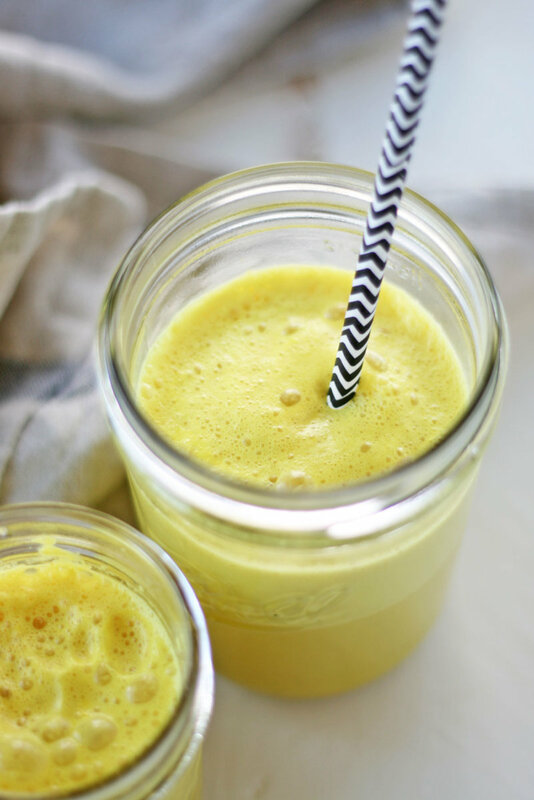 Along with providing immune modulating support and anti-inflammatory benefits, this warm turmeric tonic is like sipping sunshine on a dreary winter day. More than just buzzy beverages, functional wellness tonics are filled with nourishing whole food ingredients. Although there is no true recipe (or definition, TBH) for a wellness tonic, this warm turmeric tonic totally fits the bill. 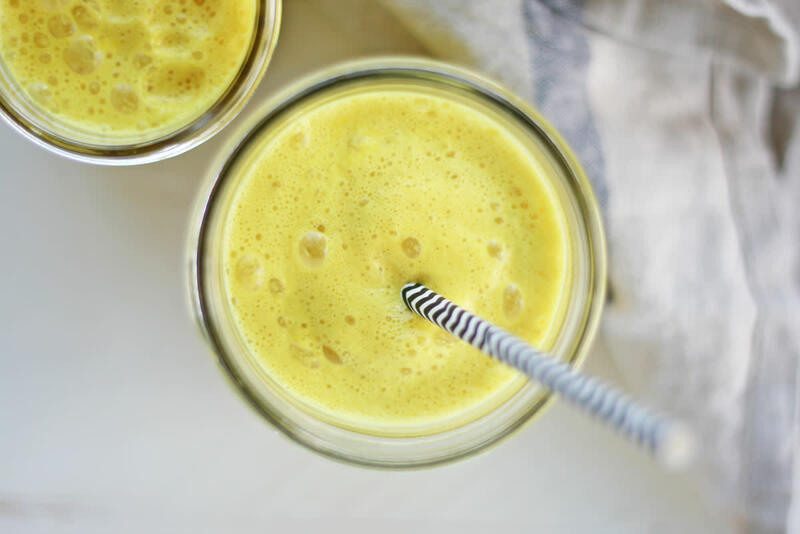 Creamy cashew milk, a hint of raw honey, coconut oil, freshly juiced carrots, ginger, turmeric, and adaptogenic ingredients like maca, reishi, and chaga make up the ingredients of this turmeric tonic. Ginger is a warming spice clinically shown to reduce and even prevent symptoms of nausea. In fact, a 2000 clinical review published in the British Journal of Anesthesia found ginger to be effective against vomiting, seasickness, morning sickness, and chemotherapy-induced nausea. Ginger is also thought to have anti-inflammatory effects and can reduce muscle pain and soreness associated with exercise, arthritis, and osteoarthritis. Turmeric is a vibrant yellow spice that, like ginger, is associated with anti-inflammatory and antioxidant properties. Turmeric contains curcumin, a potent compound that gives turmeric its bright color and is associated with anti-inflammatory benefits. Although a recent study published in the Journal of Medicinal Chemistry contests that turmeric doesn’t deserve the superstar status its been given, turmeric is still a wonderful functional ingredient in my eyes. 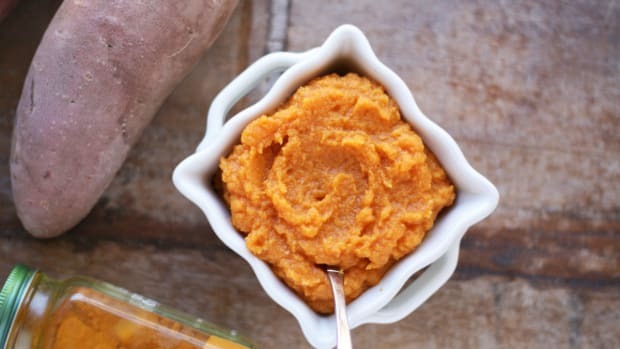 Along with antioxidants, turmeric contains beta-carotene, iron, manganese, potassium, phosphorus, and magnesium. 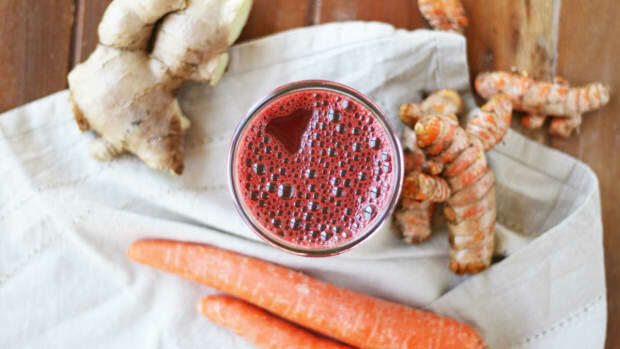 Carrots are a sweet addition to this turmeric tonic. Rich in carotenoid antioxidants like beta-carotene, carrots provide several immune boosting effects. 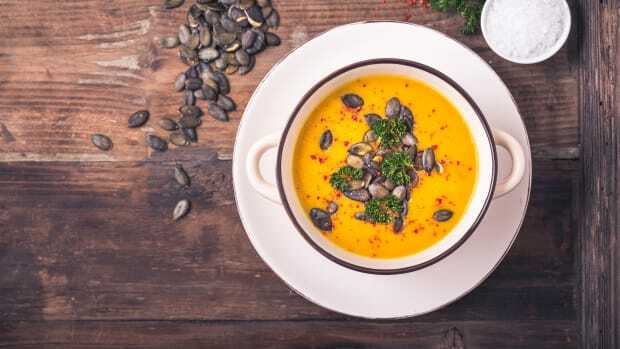 Beta-carotenes are thought to fight free radical oxidation thanks to their antioxidant properties, boost immune function, and support the health of our skin and eyes. Choose organic carrots when possible. Maca is an adaptogenic root native to South America. Studies have shown that this root may improve sexual health, regulate hormonal fluctuations in women, and provide energy promoting effects. 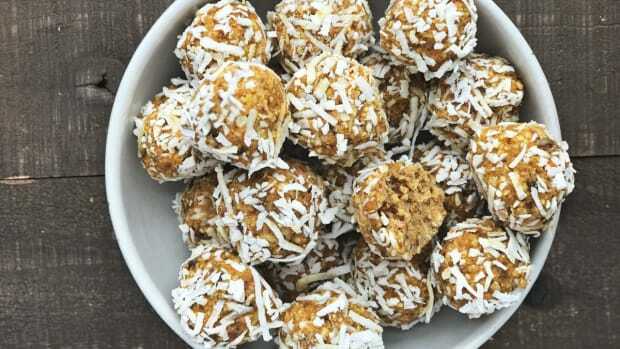 Maca has a distinct caramel-like taste and is packed with amino acids, B vitamins, calcium, magnesium, copper, iron, and phytonutrients. Find maca in powdered form and choose organic when possible. Stored in a dark, airtight container, maca will keep for two years. Reishi and Chaga are medicinal mushrooms that contain immune-modulating properties, which means that they may help to promote the production of immune cells to prevent disease. Reishi and chaga, along with other medicinal mushrooms, have been widely studied for their anti-cancer and antioxidant properties. Look for organic powdered versions of chaga and reishi powder and store in a cool and dark place. 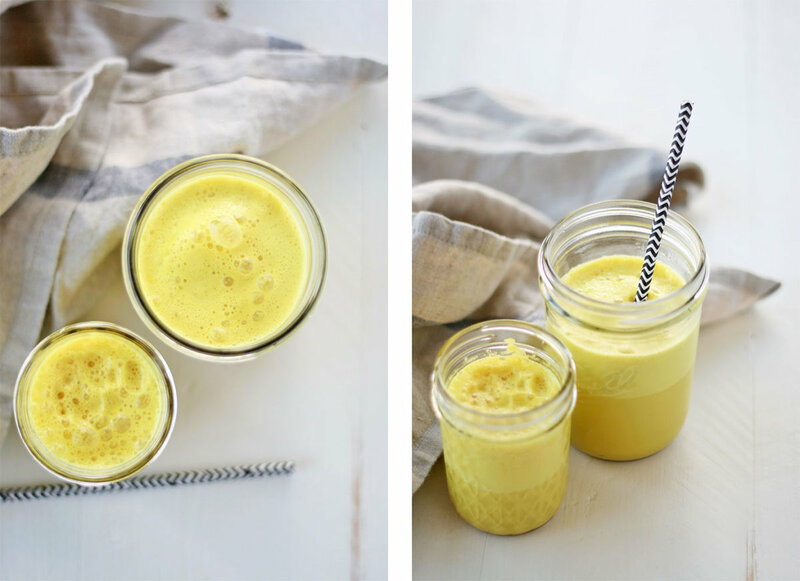 Juiced, warmed, and blended, this turmeric tonic is a delicious and nutrient-packed way to sip your way to health. Using a juicer, juice fresh ginger, turmeric, and carrot. 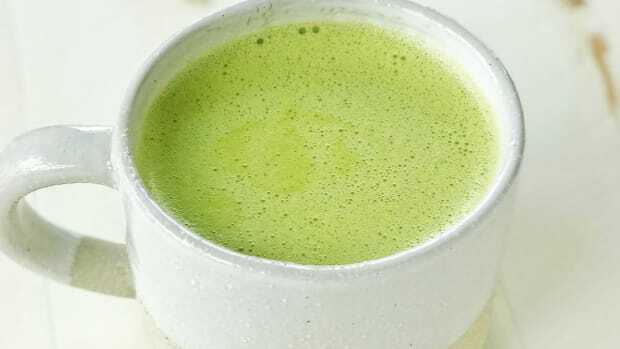 Pour juice into a small saucepan along with cashew milk. Heat over medium-low heat for five to ten minutes, or until mixture is gently warmed. Pour mixture into a high-speed blender along with coconut oil, maca, lucuma, mushroom powders, black pepper, and raw honey to taste. Blend on high until mixture is creamy and frothy, about 30-60 seconds.